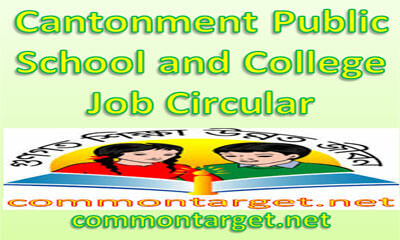 Cantonment Public School and College Job Circular 2017 update here. Cantonment Public School and College will recruit various posts for the year 2017. Cantonment Public School and College New Job circular 2017 for the Various Post published on 19 December 2017. Interested and eligible Bangladeshi Citizenship candidates are requested to apply for the vacant positions. Cantonment Public School and College Job Circular latest Application Deadline is 25 December 2017. BOF Cantonment Public School and College have commenced its journey in 2017 with this greatest motto of education as instructed by Chief Patron, Commandant at Bangladesh Ordnance Factories (BOF). It is situated in a charming environment inside the cantonment area of Bangladesh Ordnance Factories. Cantonment Public School and College reserve the right to accept or reject any application or appointment of the candidates without assigning any reason whatsoever. 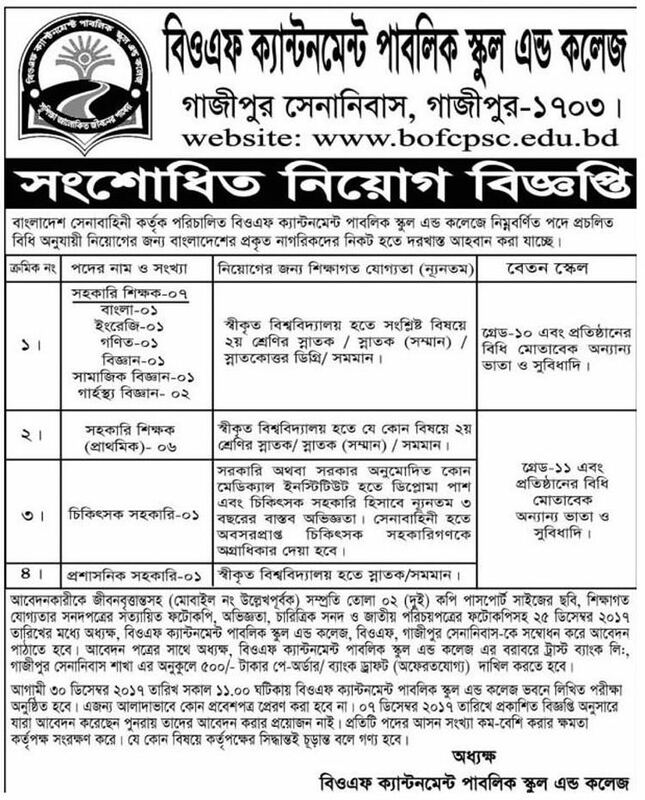 Application Instructions: Interest and eligible candidates are requested to apply within 25 December 2017. through only Cantonment Public School and College Job Circular Website i.e. www.bofcpsc.edu.bd Candidates are requested to follow circularised conditions & instructions above for submitting the application.